and I don't remember ever having got an email back from them either. But then as you all know - we write to a lot of people - that never write back. So don't be a 'Clampett' too. As I told you in the last letter - I've had a couple of days this week - with running about. Of course there was the Wednesday shopping - and especially Penny's new heater to be bought. But the day before - on Tuesday - I made an early run up to Penrith and St Marys for some appointments and to drop in on a few people - I owed a visit - and hadn't seen. I had an appointment at the Dentist for 830am - so that meant a very early start from here - to allow for all the peak hour traffic. Up at 530 - I gave Penny a farewell hug and patting - and then pointed for her to stay just where she was on her pillows (there were too many uncertainties to chance taking her - and then having to leave her for long periods in the car - better she stayed warm and snug at home. I took the runabout ashore - still in darkness and morning cold. Driving out the gate of the shipyard at 620am - I decided to stick to the motorways - and headed along King Georges Road all the way to the M4 - at the Homebush Olympic Park - then heading westward - and a straight run out the Motorway to St Marys and Penrith. Well unbelievably - I drove out the gate at Taren Point at 620am - and into the McDonalds at hometown St Marys at precisely 720am (the same day!) - an incredible 1 hour only for a trip in the morning peak hour that on even the best of any times and days has taken me much more than that. Perhaps I can thank the Pope a little for closing down the city to traffic - and people being encouraged to use public transport - while this International Youth Rally is on - and maybe you'll say I was going 'against the traffic'. But I was only going 'out' of the city - AFTER - I got to the M4 - for the first half of the trip - I was heading straight in - with all the commuters - but still moving along nicely. 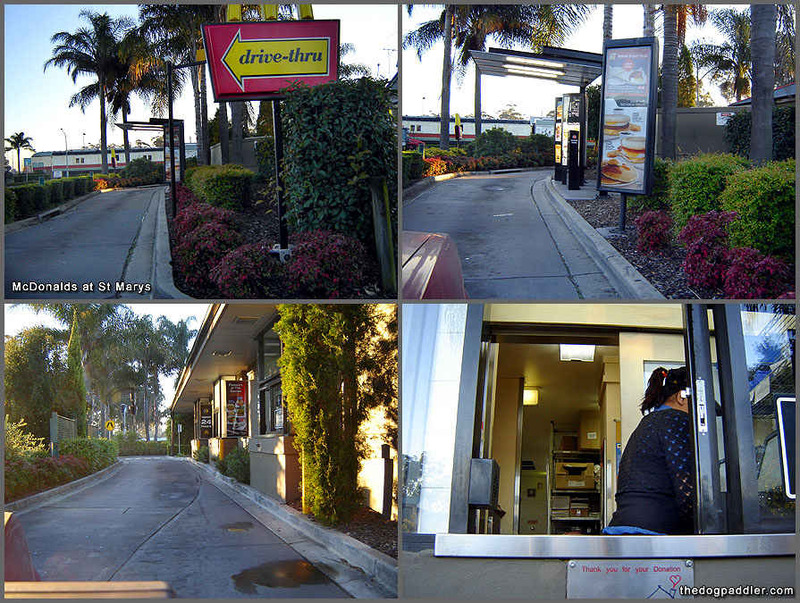 Anyway - there you go - and just because I know that probably none of you have ever seen a McDonalds before - I took some photos - HA! They're sign looks like this. The train carriage you see in the distance - is only a display - in a small park. They weren't very busy just then. A couple of hours later - in a carpark - an unknown couple gave me a 'G'day How are you?' - and I buoyantly replied - 'I'm doin pretty well - I've already been to the Dentist, the doctor, and the x-ray - and it's barely gone 930 in the morning' - and they said - 'You are doing well'. 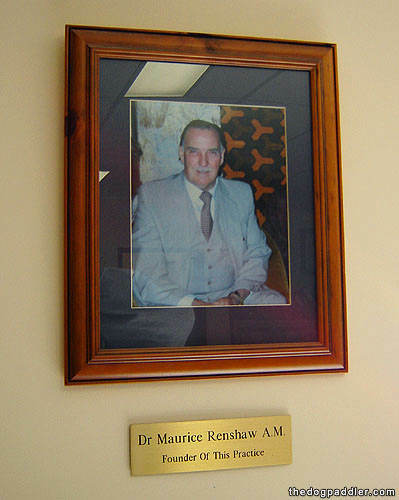 And it was while waiting at the Doctor's newly rebuilt - and very flash looking - Renshaw Medical Centre just off Queen Street St Marys - that I decided to snap a shot of 'Old Doc Renshaw' himself on the wall - now passed on of course - who while no doubt having been admitted to Heaven with a good report - may well have had to explain to the Almighty - that he was the one responsible for 'delivering Rodney Field into the world' - and all the problems that's caused. 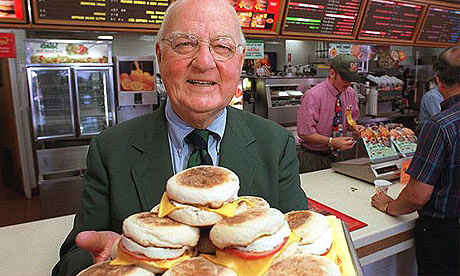 That's right - he delivered me - 56 years ago. and I recall the enjoyment and pride of that great evening - he and his wife experienced. It was while chatting with the doctor's receptionist - who's name I abysmally forgot (well I haven't been there for a while) - that she said - 'You knew that Beryl Brangwin had passed away?'. Well I was shocked. I did NOT know that Aunty Beryl Brangwin (just turned 90) had passed away - no-one had told me - and I had no idea - and had driven past her house that morning - and looked for anyone there. 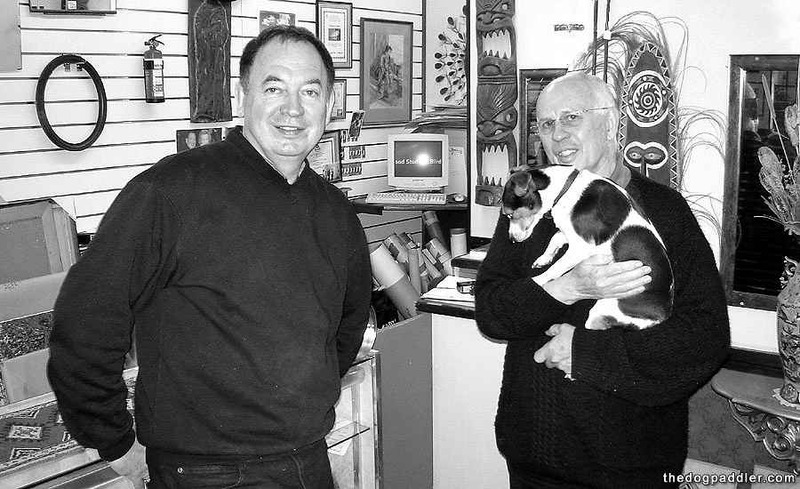 I was very disturbed to hear this - and at not having attended the funeral - and resolved immediately to go straight up to see Victor Brangwin her son (our 2nd cousin) in his Studio shop in Queen Street. 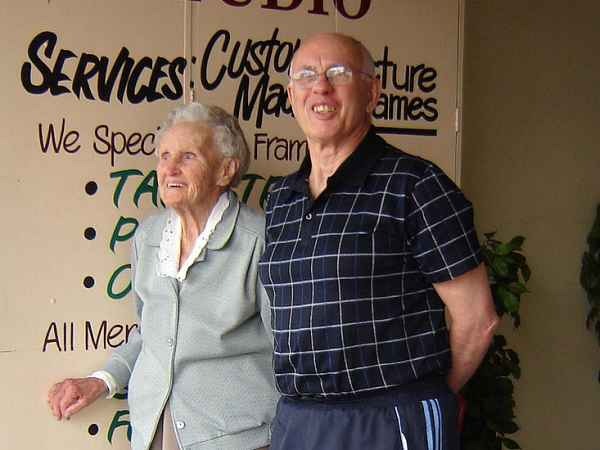 Here is a photo of Aunty Beryl with Victor - taken at last years Spring Festival. 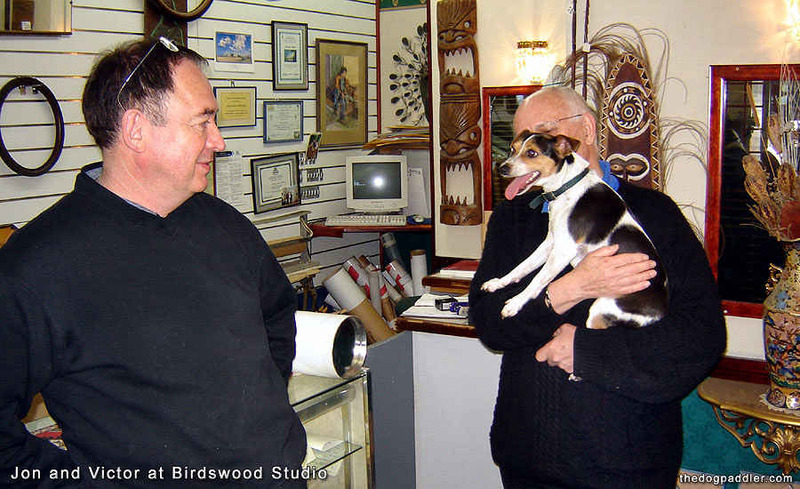 So following on from the appointments - I walked the distance along Queen Street - and saw Victor - and partner Jon - at their Birdswood Studio - to say hello and convey my condolences. Only to find that just a few minutes before they had sent off an email to me. A sad purpose initially - but an uplifting visit for us all -- nonetheless. And so it was back out onto Queen Street for a few other 'surprise drop ins'. in her 2nd Hand Clothing and Collectibles Shop. and it was good to see her looking so well - and the shop very vibrant too. Here's a nice panorama of half of her shop - taken with the flash - which turned out OK.
After talking with Patsy for a while I told her that I still had the last of some boxes of things from Mum's - like crystal and old silverware that I'd bought back myself from the Auction years ago - rather than give it away to 'rough scroungers' for pennies. So she offered to take the things - (including a couple of vintage 50 year old Underwood Typewriters) and see if she could sell them - but if she does or doesn't it isn't important - because they were probably bound for the scrap bin anyway. So I later went out to Uncle Maurice's factory - and got a couple of remaining boxes and the typewriters and dropped them back off at her shop - on my way out of town. There's also a couple of big 'stuffed Goat's Heads' there too (you know museum - wall trophy types) - if anyone's interested - but she said she'd put them in the shop too - if I dropped them in one day. 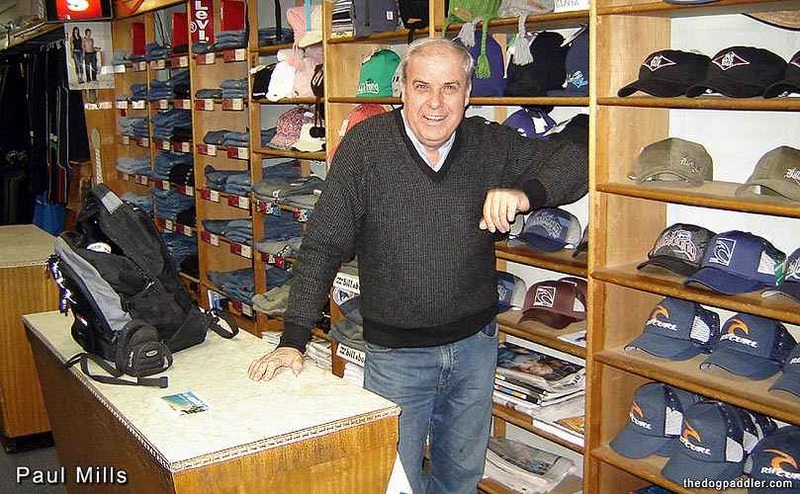 Well - that left - still another call to make - and that was to see Paul Mills - at Mills Menswear - to drop off some stuff for the High School Re-union - that he's going to use in a presentation - AND - to pick up a brand new pair of binoculars - he'd told me I could have. You'll recall - I was asking around for some old ones - following on from my 'binocular pictures' a few letters ago. Well he wrote straight back and offered me a pair. How good is that!! 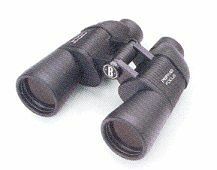 They are a pair of Hanimex 7x50's - and just perfect to use on a yacht. 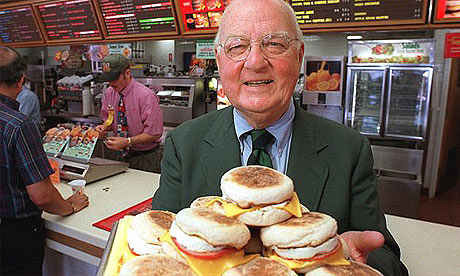 And as you can see Paul is looking pretty happy and prosperous too. And I have to make all the excuses as to why I left her at home on the yacht. But the day was just a little too uncertain to be bringing her along. she still doesn't like being left behind - and missing out on the adventure. So that was the visit to St Marys - this time. and Penny will probably go to - if she has any say in it.